There was a time that I thought of going on a trip without bringing my camera with and just enjoy the whole trip. I mean sometimes taking photos kills the fun (well at least for me being an O.C. with taking photos). But on November 2012 that happened only on a trip that I didn’t want it to. 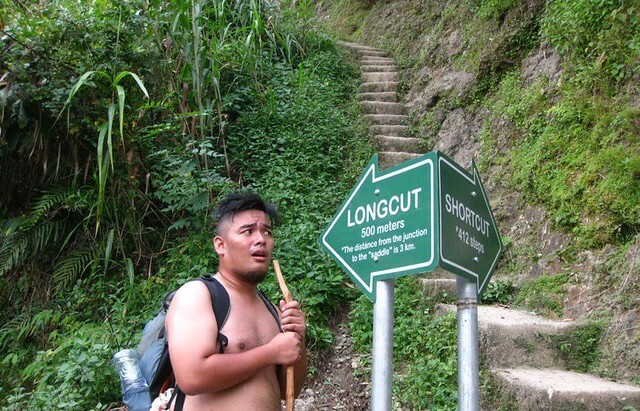 But nothing stopped me, so here I come Ifugao! One of the very reasons why I haven’t been to the mountains up north of Manila was because of my lacking of decent a camera. I told my self that if I were to go there I want to make sure that I have a good camera to capture the beauty of the mountains. But no, due to unforeseen events I didn’t have my camera with me throughout those three epic days in the province of Ifugao. The opportunity came when a fellow traveler invited us to be part of a gift giving project where the Ifugao province is on the works. Without skipping a heart beat I said yes and made sure that I will participate. The project was still several months away but I was so excited and I kept thinking of the possible photos that I could take. But no the day came and my camera was not with me. Bummer! I was really so frustrated but still I couldn’t pass up the opportunity seeing the mountains. 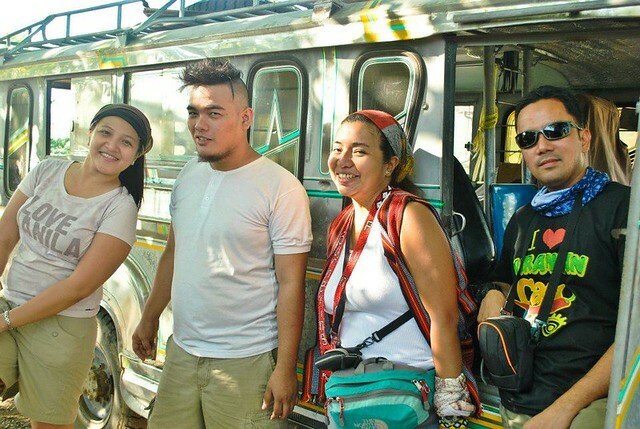 We took a sleeper bus to Isabela where we will be picked up by a staff of the province’s board member’s staff . I’ve always wondered how it feels like to get on a bus and just lie down and sleep so I was really eager to get on the bus. Total travel time from Manila is about 12 hours and the sleeper bus provides generous space for travelers to sleep, duh!!! Sleeper bus nga eh! (that’s why you call it sleeper bus!). But I guess sleeper buses aren’t the thing for me, I barely slept during the 12 hour journey surviving with short periods of naps all throught. Sanay siguro ako sa pangmahirap na bus lang hahahaha! (maybe I am just meant to ride regular buses only). Morning had just broken when we arrived in Isabela, the bus crew unloaded the gifts we had for the kids. While waiting for the jeep that would pick us up, I along with Joanna of The Backpack Chronicles and Mich of Chasing Philippines explored the city in search of plastic bags where we could put in the gifts that burst out of their containers while on transit. 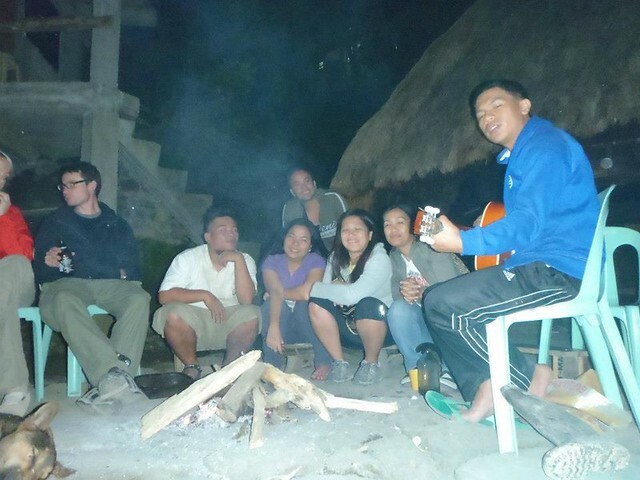 As soon as the jeepney picked us up we proceeded to board member Bongtiwon’s relative’s house in Alfonso Lista, Ifugao. 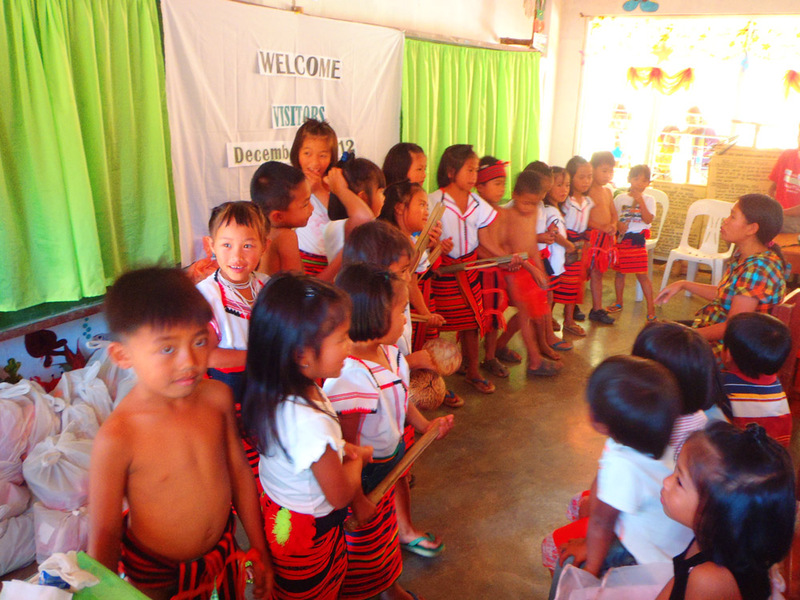 There we packed gift bags for the children of Kiling and Caragasan Elementary school in Alfonso Lista, Ifugao. 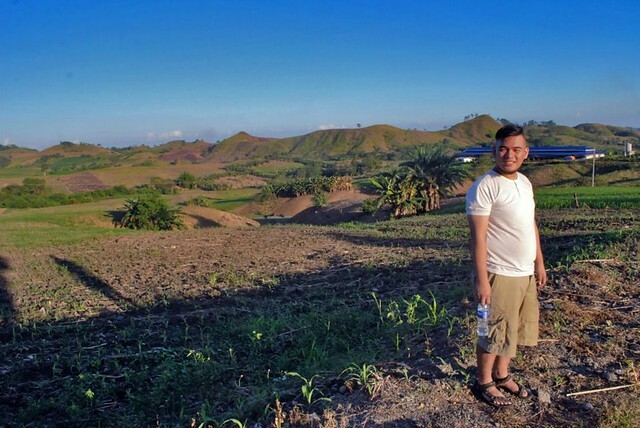 On the way to the school we can’t help but admire the beautiful rolling hills of Alfonso Lista that reminded us of two things the soap opera “Pangako Sa’yo” and the beautiful Batanes. 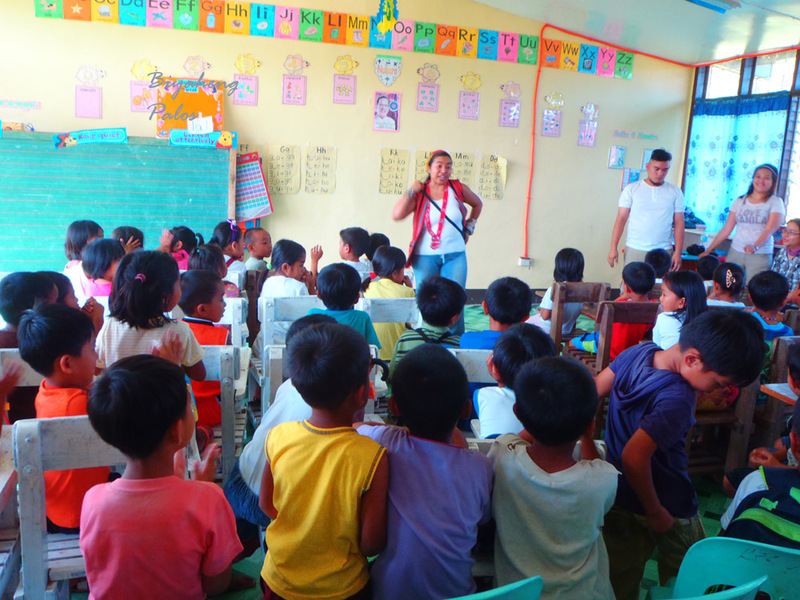 As soon as we reached the school we started the a mini program to educated and remind the children about their province’s treasure, the rice terraces, and that they should take care of it and nurture it. On the way back to our packing site the sun was quite low already and it was our only destination for the day so we decided to kick back a little of our time and took photos of the beautiful hills. To tell you the truth with each and every school that we visit, it becomes harder and harded to leave for the next one as kids on each school are so adorable with their big wide eyes staring at you. Oh my, I tell you if kidnapping wasn’t a crime I could have swear to bring a kid back home with me. The next day we headed to Banaue as the next few schools that we are next to visit are within the Banaue area but before pushing through we stopped by the town center to replenish our supplies. While roaming around the town market I saw three foreign looking guys that looked lost in the “Tourist Information Center” (which turned out to be a privated business and not a government center). I dared Journeying Pinay to talk to the foreigners and tag them along with us, now you should be careful daring people, I was not that serious about tagging them along as it would mean major “Nose Bleeding” but yep Journeying Pinay took the dare and voila! Instant Volunteers! hahaha! 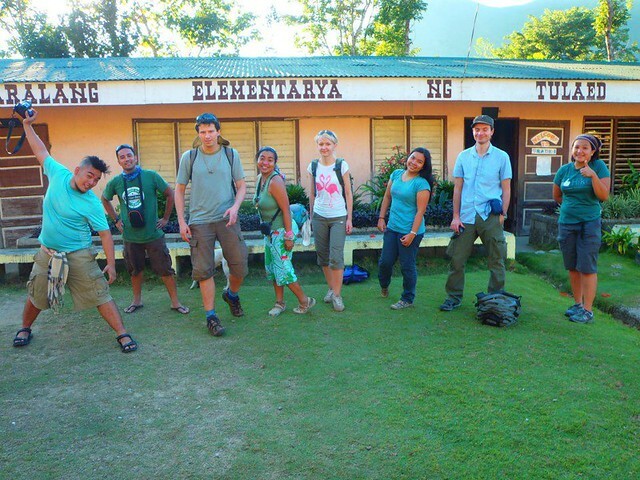 After buying our personal stuff we packed everything up and loaded everything to the jeep and immediately went on our way to our sole destination for the day, Tulaed Elementary school. The school was quite far from the rest so it needed one whole day. In Tulaed, the school is situated on top of a hill which was on top of another hill I mean you get the picture right? My fats were all complaining! hahaha but the climb and carrying up the hill that was oh so high was worth it. The children are so adorable and cute. They were all happy with the gifts that we brought for them. It was dark already wehn we got back in Banaue so we decided to spend the night over at the board member’s staff’s house, Maureen. The house was really spacious which was perfect for packing the gifts we have for the kids of Ifugao the following day. But of course we needed to recharge first so we can pack the remaining gifts, we went off to eat dinner at the Las Vegas restaurant where the owner was so accommodating even singing out some songs for us alternately with his sons. Of course we didn’t just sat, clapped and listened to them we joined the fun of course! hahaha! I and Mich played the bongos that she just bought while every body else sang along. It was really a fun night. The following morning the weather was everything that I expected of the mountains, foggy, cold and filled with fresh air. The sun rise was so beautiful like a burning orange ball of fire rising up to the sky. It was magical. We needed to buy some stuff so I volunteered. As I walk along the road I gazed upon the the foggy horizon while the sun continues to conquer the land. It was totally breathtaking. 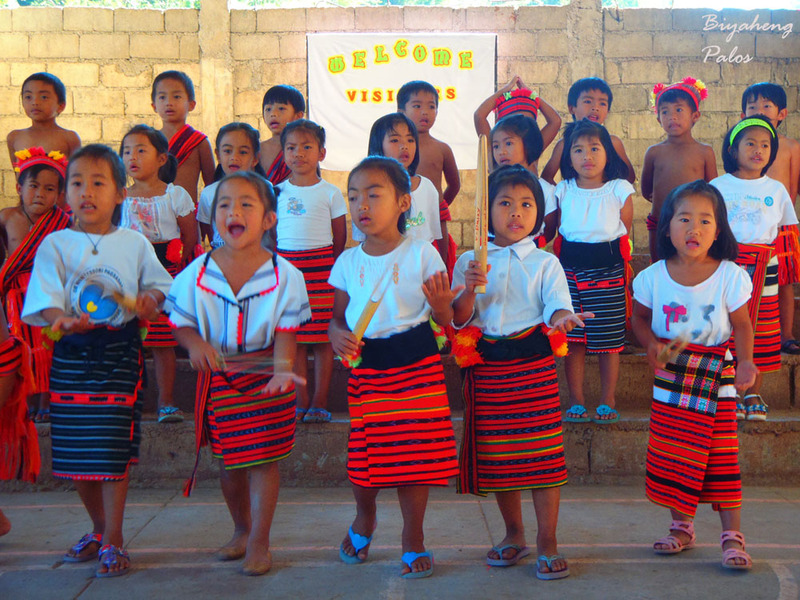 Our Itinerary for that day was to go to the Hapao and Baang elementary schools in Hungduan, Ifugao. 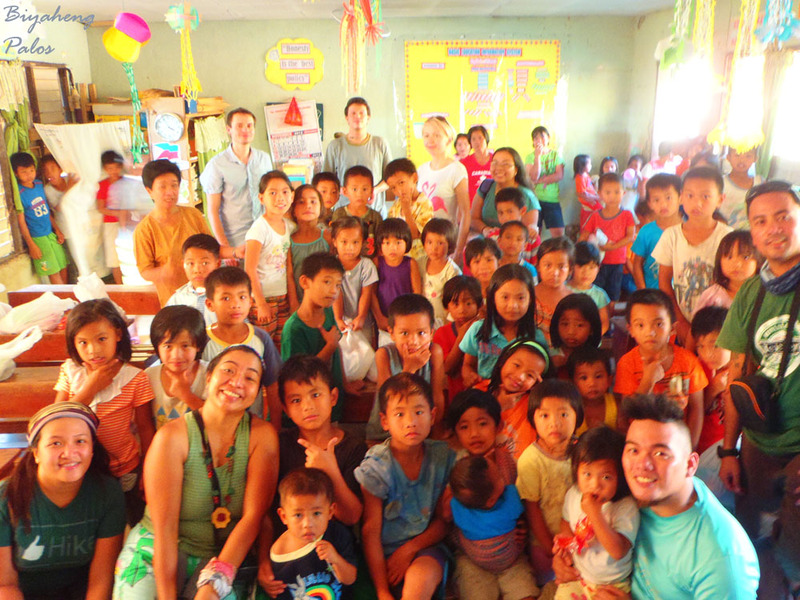 There we were welcomed with so much warmth by the people of Hapao elementary school with their cute and lovely preschool kids doing some presentations. 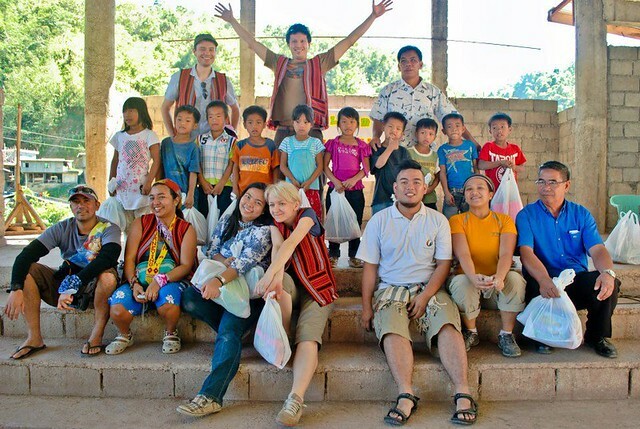 Oh… If we didn’t need to go our next destination we would have cuddled more of the adorable kids of Hapao. Next up was Baang elementary school. To reach Baang we trekked the 2,000 year old terraces of Hungduan which is also inscribed in the UNESCO World heritage sites. Upon reaching the school we watched a short presentation again by the kids but this time it instead of being crushed by the cuteness of the kids, I had goosebumps! The grade 6 pupils sang a part of the Hud hud which is a part of the Intangible Heritage List of the Unesco, one of the few remaining in the world. The kids sat on small stools and on the floor then the lead started. Their voices suddenly commanded silence throughout the room without a word order, it was just felt. They sang enchantingly embracing the whole room with their mysterious chant. It was so magical for me I almost cried. I love the Ifugao culture as it is one of the few remaining authentic cultures of the Philippines and even though I am not an Ifugao I wouldn’t mind being called or associated as one, in fact, it would be an Honor. 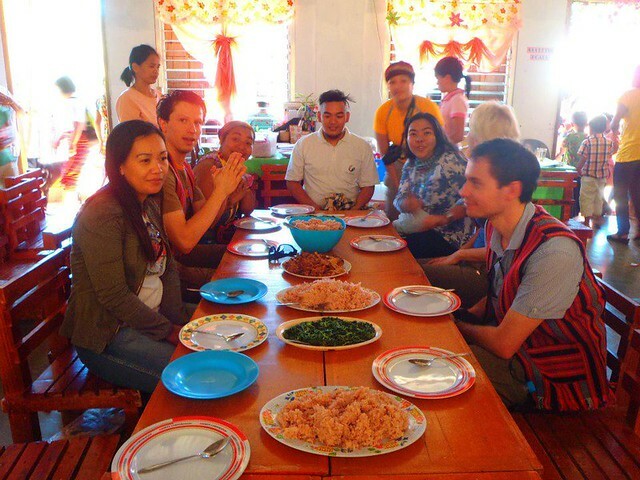 Lunch that was prepared for us by the teachers of Baang was so special. The rice and vegetables were all harvested from their terraces, all products of their world class organic farming. They also prepared chicken Adobo which was so tasty as it was also a product of their organic farming not to mention that the chickens were native to the area. 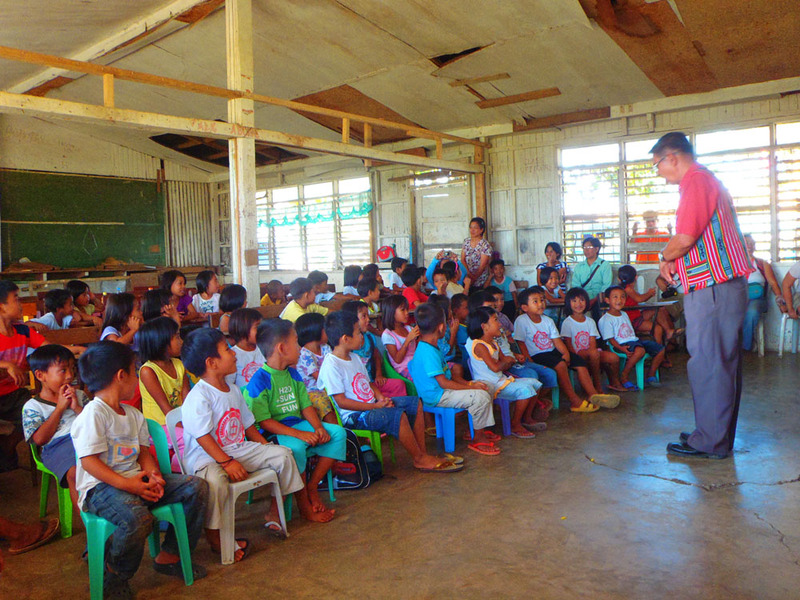 After lunch and giving out all of the gifts that we had for the children we again went back to our base, Banaue. There we prepared our selves for our journey to the most beautiful of all UNESCO inscribed terraces (at least for me) The Batad Rice Terraces! Pagad the best driver there is in Ifugao (He drives as if the road is not rough!) made sure that our top loading experience was great! The scenery going to Batad also didn’t failed us. We were all exclaiming terraces overload! Mountains overload! We were all enjoying it! We arrived that afternoon at the saddle point and our new found Polish friends. They asked us how long would it take to get to the center of Batad, we told them about three to four hours and they replied No! the book says just one to two hours. Well I guess they are right, for their race at least who are blessed with long legs. 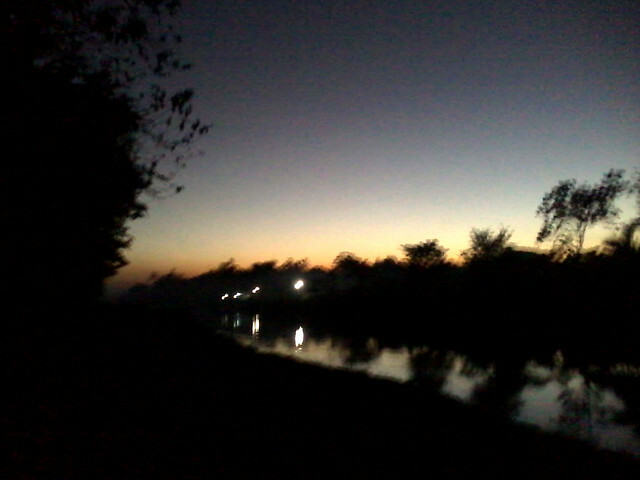 As for me and Journeying Pinay it took us more than four almost five hours as we took our time walking. Darkness as fallen already all over Batad when the two of us arrived. 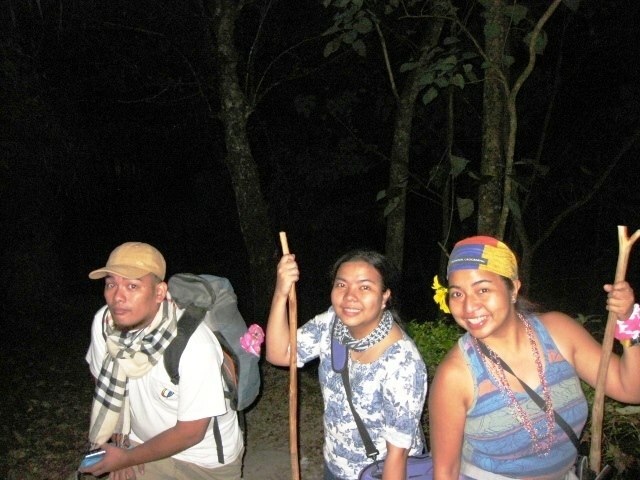 As she and I jokingly discuss, the good thing about trekking in the dark in Batad is that its more challenging, all you have is just a step away from the ravines and cliffs. But yeah I guess I like trekking to Batad as night falls when I arrive as the darkness becomes the curtain that covers the beauty of the terraces that will be uncovered as the sun rises in the morning. We didn’t had a full day in Batad but our stay was well spent, we trekked the rice terraces early in the morning. We took yet another unconventional way of getting to where we are going, we used the trail of the woodsmen. Well it’s not a popular trail as I my self can’t even say that there is one, we took this because we got lost, yep no choice there. I call it the Woodsmen Trail because when we asked if the trail that we are follow is the way to our next stop the locals told us that we can get there but the trail that we are on is the one that people use going down the mountains upon collecting wood for fire. Our next destination is the Tappia Falls, though a bit difficult our trek to the falls was all worth it as we emerge from the jungles into the terraces they Payao. 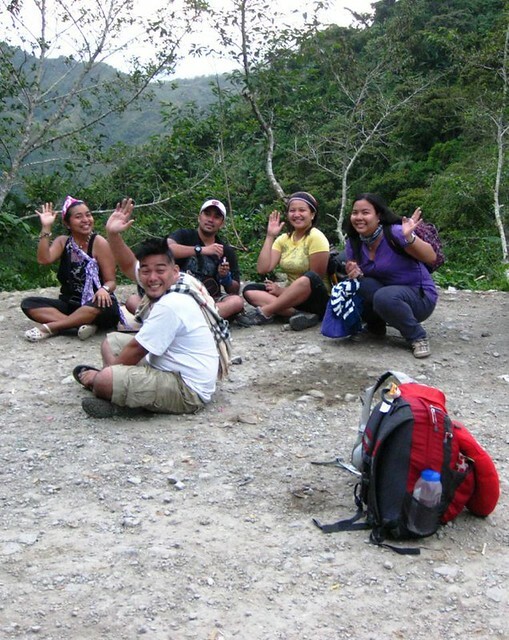 The Batad terraces are formed like an amphitheater that spreads for kilometers. I just don’t have the right words to describe the Batad terraces it is just so awe inspiring. 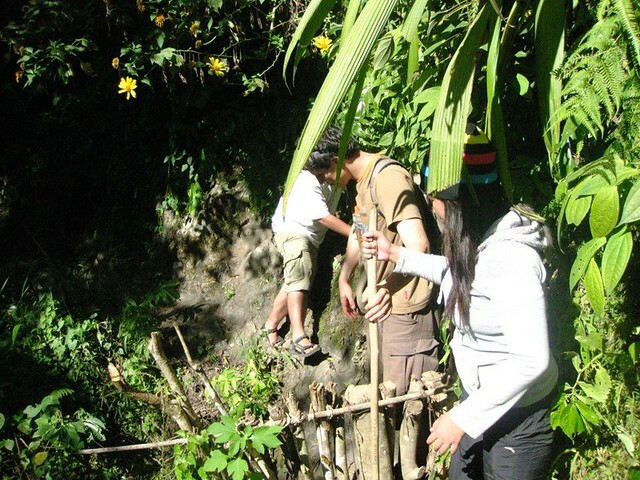 The Batad terraces also faced challenges as many of the people specially the younger generation (this does not just mean those who graduated but also those who are around their late thirties and up) as they move into the bigger cities of Baguio and Manila leaving the Payaos un-tilled and deteriorating. 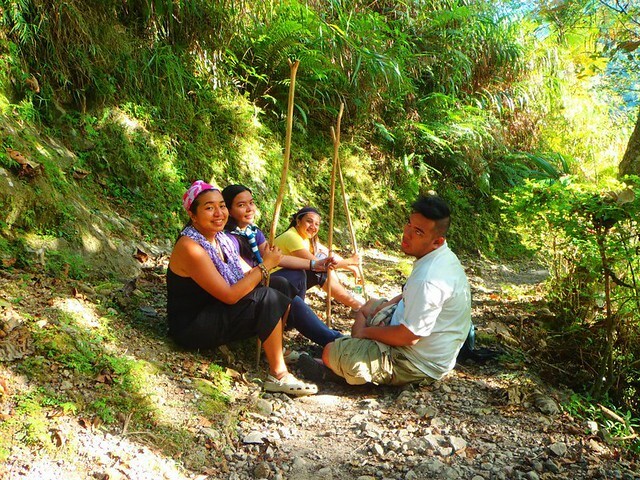 But thanks to a new generation of youth who are waking up from cultural slumber and have taken initiative to rebuild the ruined parts of Batad to its former glory. Behind the mountains of the terraces lies paradise, the Tappia Falls. 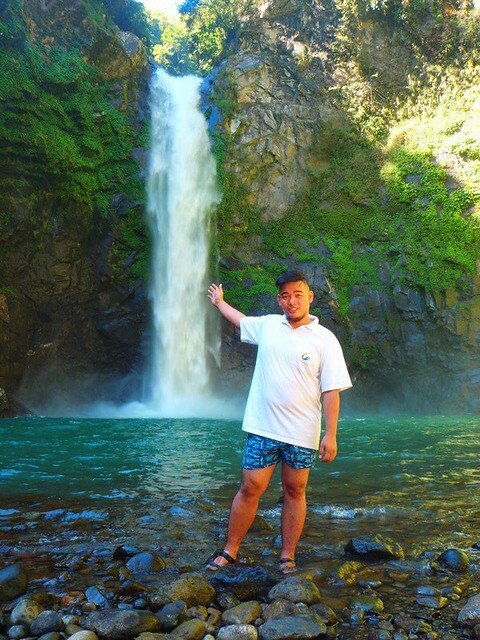 This is my first ever falls experience and I am glad that it was in Batad. The water was so clean at that time, it was green because it hasn’t rained that hard for a while back then but still the water flowing from the top was so strong! 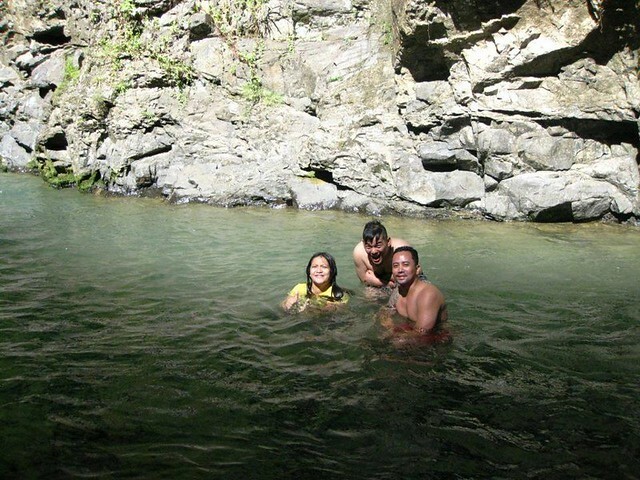 The water felt so good as it refreshed our bodies from the hot weather that day. By twelve noon we decided to trekked back to Ramon’s home stay, our home in Batad, where you get to live inside authentic Ifugao houses that would keep you warm throughout the cold night. I do highly recommend staying at Ramon’s Home stay to complete your stay your experience not just because you get to sleep in authentic houses but also you get to interact with Ulysis, mang Ramon’s nephew and you can ask him about various things you want to know about the Ifugao culture. They also have a mini museum housed inside a century old Ifugao house that has been passed to them through generations. We ate lunch and headed back to the saddle point. The trek back was of course much more difficult than going to center as it is now uphill, thus the numerous stops. Darn! 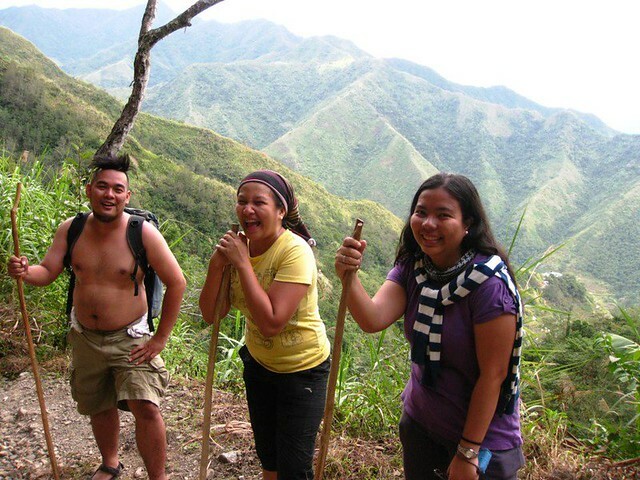 I’m loving the trek back because it wasn’t as hard as my first mountain experience in Zambales. The temperature wasn’t that cool so I was really burning a lot of my oh so precious fats! hahaha! Anyway the trek back with our new found polish friends was really fun as we chat our way back to the saddle point. 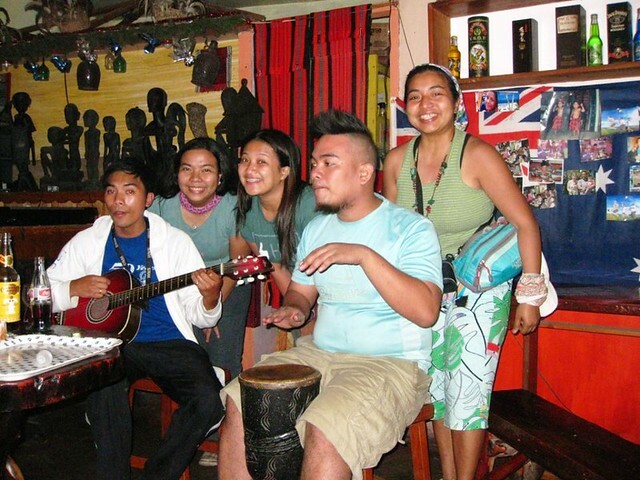 Everything was turning out great until we found out what we were riding back to Banaue. It was horribly disappointing when we saw a truck and the “other” coordinator of our project wanted us to ride in. But don’t get me wrong! I am not that picky when it comes to transportation but what’s horrifying is the smell of the truck! It smelled like animal waste was loaded prior to us that even the locals can’t be comfortable enough at the back of the truck. So we opted to stay and stick together. Thank God as there was another Jeep that would be going back to the town proper and we had to rent it privately. 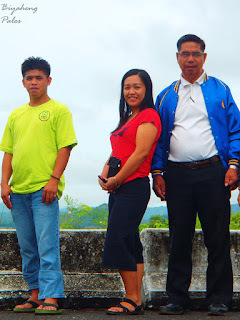 I wouldn’t go on to the details of what other things happened but of course I would like to thank Mr. Clemente Bongtiwon for taking good care of us and helping us in getting around Ifugao to distribute the gifts for the kids, Paggad for masterfully navigating the roads of Ifugao and Maureen for letting us into your home. Special Thanks to Journeying Pinay for letting me tag along and experience how it is to travel with a purpose, this trip truly is one of my most memorable ones that not even another trip to the very same places would ever replace my memories of this trip. All is done and we are back in Manila and it has been months since the experience and if I was asked would I do it all over again I would say yes without skipping a heartbeat. Nope this post wont have smaller versions just like my Cebu and Taiwan series because this wasn’t about the sights but this is about the people. Maybe next time when I get the chance to bring my own camera with me. Don’t forget about your culture and heritage.